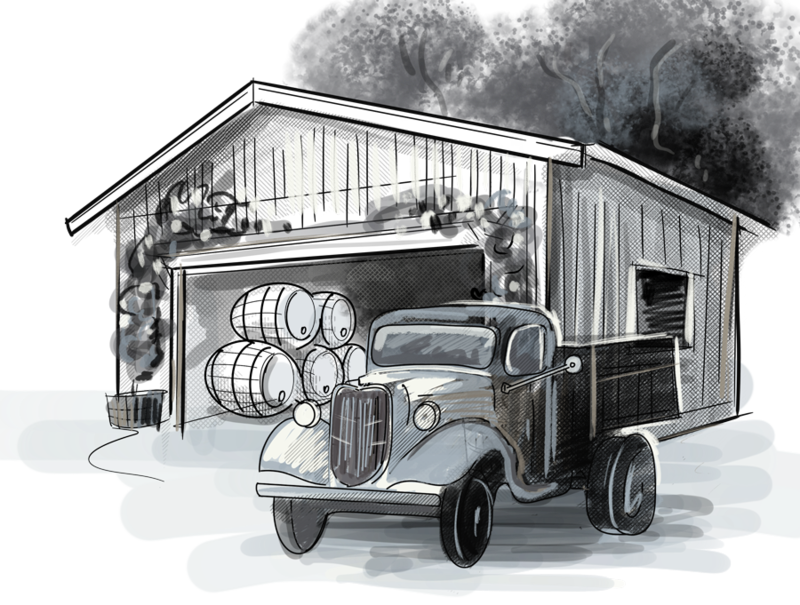 The Soquel Fermentation Project is a farmhouse brewery in the Santa Cruz Mountains. The abundant rainfall, sunshine, and temperate climate create an environment found no where else in the world. Using traditional brewing techniques and modern scientific methods, this project systematically evaluates the terroir and microflora of this unique region. By sourcing fruit from local farms and barrels from local wineries, the goal is to create beer with an identity firmly rooted in the Santa Cruz Mountains. The brewery is closed to the public and we currently do not have a tasting room. We distribute via our bottle club as well as local restaurants, tap rooms, and bottle shops. Click on map to the right to see our current distribution. Be part of the project. Sign up to receive updates on new releases and farmers market appearances. Click on map above to see our current distribution. The brewery is closed to the public and we currently do not have a tasting room. We distribute at farmers markets and local restaurants, tap rooms, and bottle shops. Click on beer finder link to see our current distribution map.